We provide everything from single products to a complete turnkey solution. From consultancy to design and installation with full maintenance support from one of our nationwide offices. Because we have a clear understanding of the technology within the business, you get the best products and the best value for money. With unparalleled support and maintenance expertise, it’s easy to see why Altered Images is one of the most popular technology suppliers in the UK. We have over 21 years experience supporting UK Broadcast and Production, in that time we have built up an extensive portfolio of products – Including Avid, EditShare, JVC, Panasonic and many more. 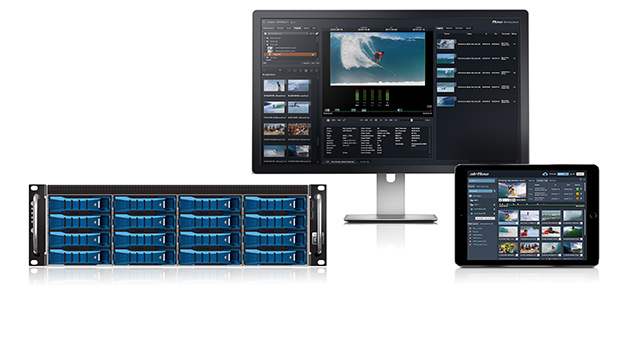 Whatever your requirements: 4K, UHD, Hi Definition, acquisition, graphics, post, non-linear editing, presentation & communication products or maintenance – talk to us and we will deliver the very best advice available. Please see below a selection of special offers and promotions – if you do not see what you want – contact us and we can see how we can help ! We understand the production business and consult with you to deliver the best solutions. Our skill in providing the best service is based around pre-sales consultancy, and post-sales service and support. This approach is essential and we are one of the few companies in the UK to be able to deliver this kind of service.